We’re a family that love to be outdoors and we are always looking for our next adventure. I think it’s important that children spend time outdoors and it doesn’t have to be going to places that cost money. Most of our days out are at National Trust places, where we are members or at the local woods. These are some of our best days out. 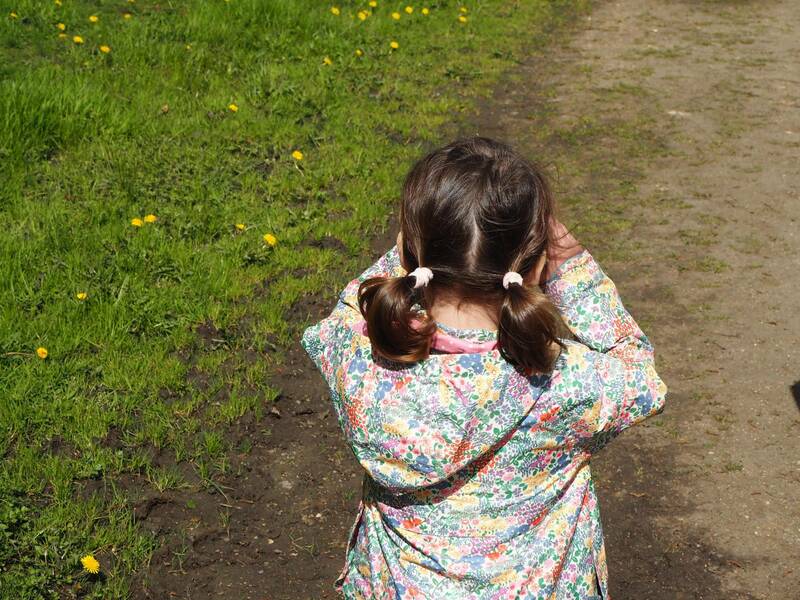 I love finding new ways to make walks fun for the girls, to get them to enjoy them and not moan about it. 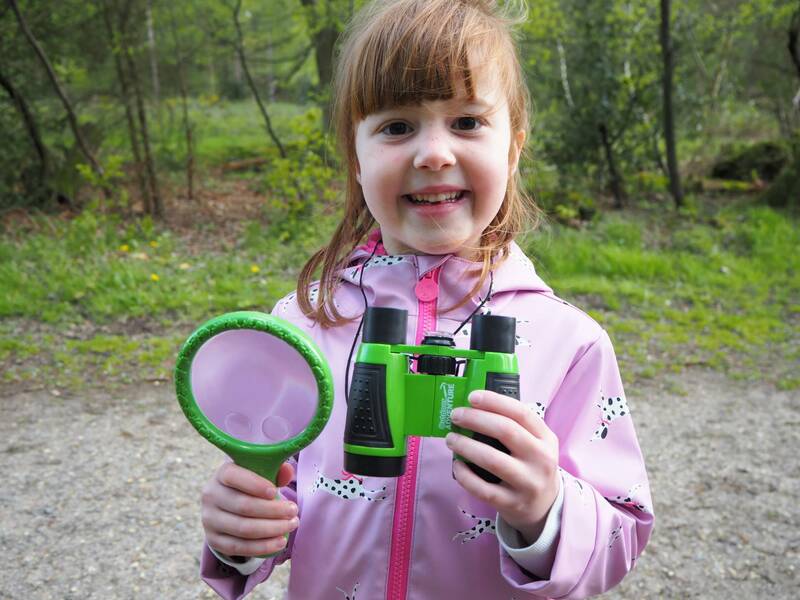 We were recently sent an outdoors explorers kit, which included some binoculars and a magnifying glass. Well they are beyond excited and couldn’t wait to go on a walk to explore. 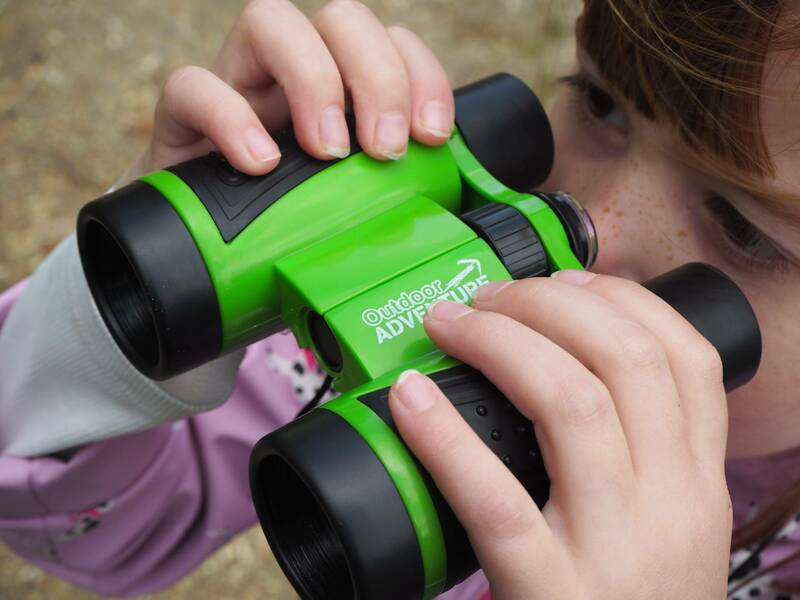 We were sent these amazing binoculars, they hang nicely around their neck and they have a compass too, which was a great talking point with Alice. Alice loved seeing what she could see through them and I think for little ones, the excitement of seeing something that is far away up close blows their mind. 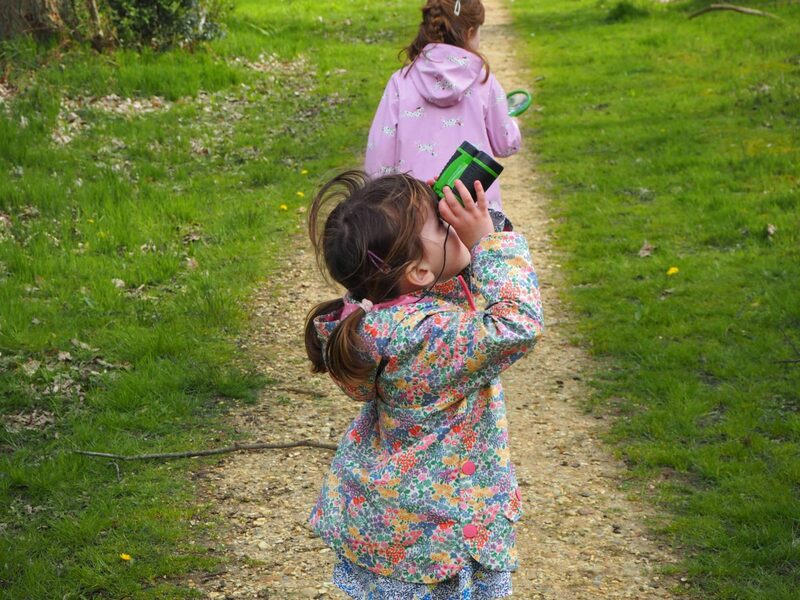 The girls were really good at taking it in turns to use the binoculars and magnifying glass, swapping over throughout our walk. Or Alice would shout quick Holly come and look at this. I love it when an activity brings my girls together and they have so much fun. They were also sent a magnifying glass, which was a real hit with them both. They loved looking at sticks, flowers and insects through it. It gave us a chance to talk about what they could see and found. Educational without even realising it. 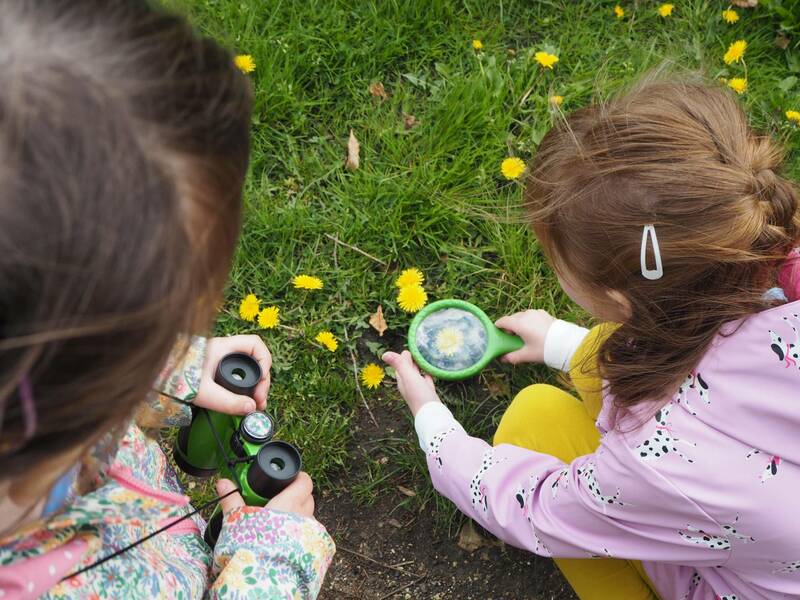 The girls had a wonderful time going on an outdoor explore with their binoculars and magnifying glass. I think next time I will print them out a sheet of things to find and spot, which they will love and it will add something different. Whatever happens I know that these will be coming out with us on all our walks now, the girls didn’t want the walk to end. Sounds a great day out. We went to Forest School yesterday and this is exactly the ethos behind it all. 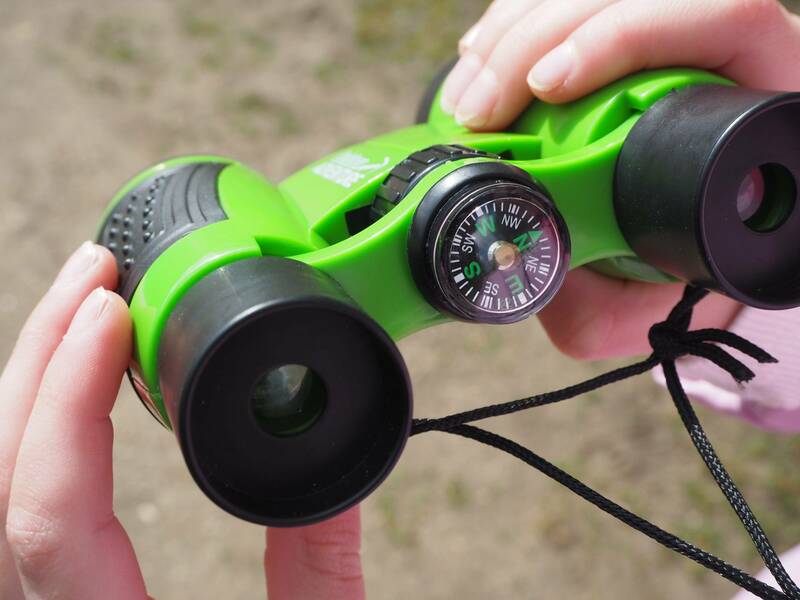 The binocular set sounds fantastic – the boys have learnt about how you can tell directions from the plants so it would be great to have a compass to see that it does work. Those binoculars sure are nifty! Great that they come with a compass built in as well! The binoculars look great. My kids love exploring outside. Awww look them with their spyglass and binoculars – looks like so much fun, I;d happily join them! Gorgeous pics! 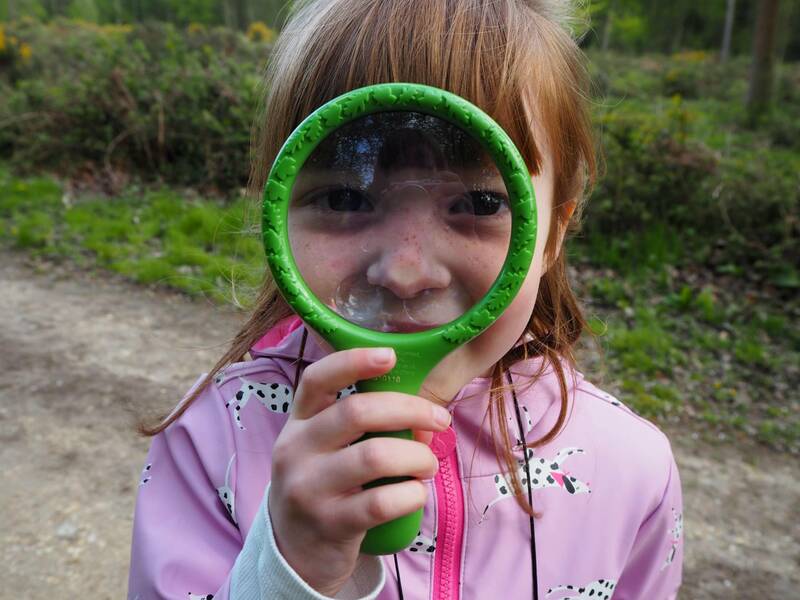 My daughter loves going on a bug hunt and pond dipping in our local nature reserve – unfortunately, they are about to close it down so looking for some other green spaces to explore! 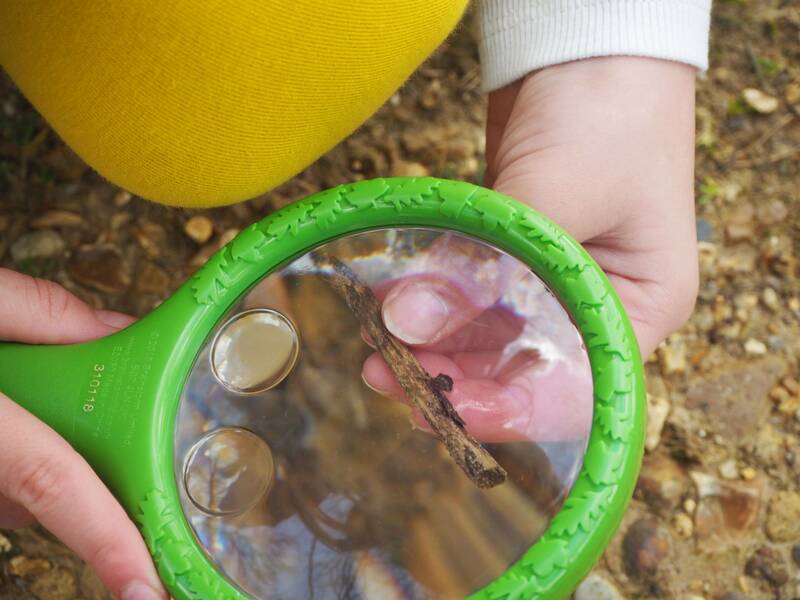 Anything that encourages little ones to appreciate the outdoors is a winner. I find it gets harder to get them outside as they get older. 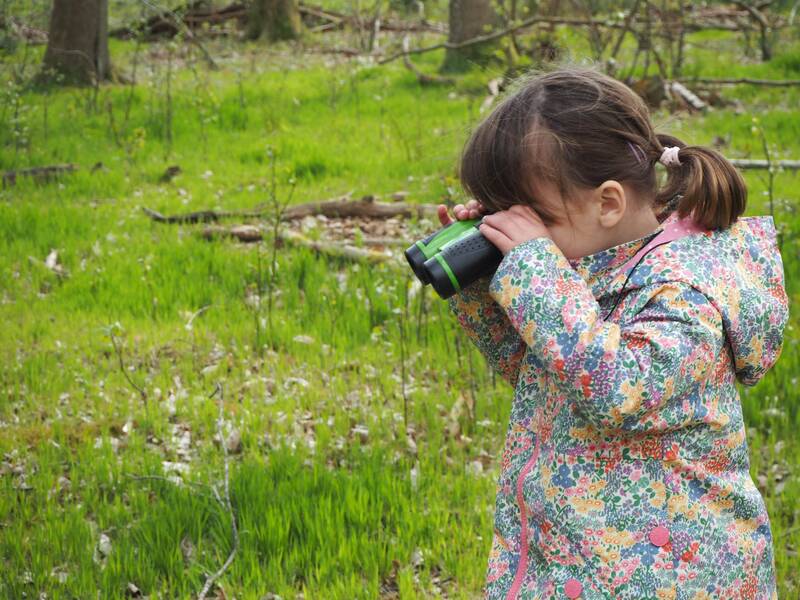 Alessia is obsessed with binoculars and creepy crawlers . She would love these! 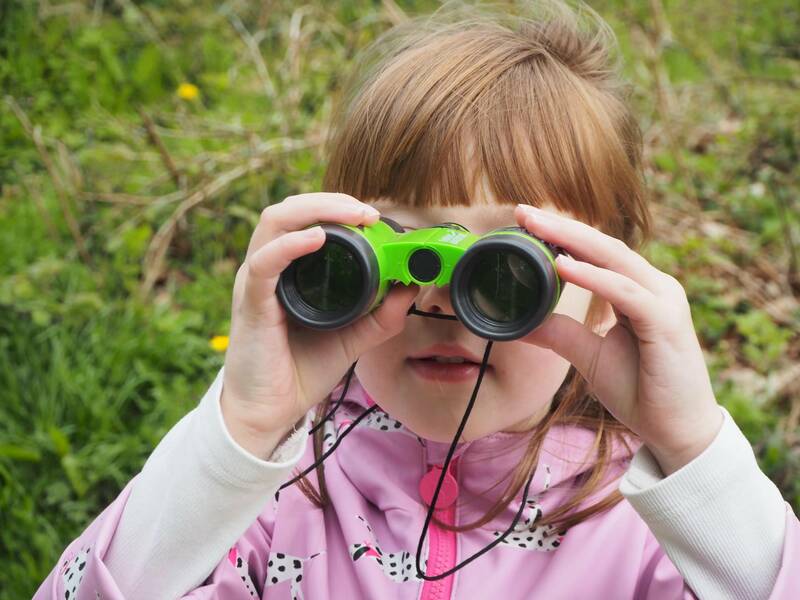 Its so refreshing seeing you little ones with binoculars and a magnifying glass in their hands as opposed to an tablet or phone! It makes me happy to know there are children in this generation still happy to get their hands dirty!